Opening at the Albright-Knox Art Gallery on March 25, 2012 is a show highlighting parts of their collection with a spotlight on Jean Arp, Joan Miró, and Alexander Calder." This is the second installment in a new series of ongoing exhibitions drawn from the Albright-Knox’s Collection centering on important artists whose works the Gallery has acquired in depth. This series aims to reach beyond the Gallery’s celebrated masterworks to highlight a broad range of paintings, sculptures, and works on paper from selected artists’ careers. Many of the works on view are less known to Albright-Knox audiences, not having been exhibited in some time; seen alongside the Gallery’s more well-known works, they will bring context and greater understanding to the chosen artists’ practices and their art-historical legacies." This show concentrates on these three modern masters who worked unconventionally with color, form, and line. 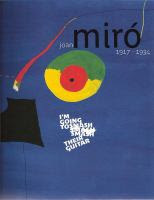 Books and video about Arp, Miro, and Calder can be found in the Art Collection and the Literature Division.Click on images to connect to our catalog. Hans, or Jean, Arp (1886–1966) is internationally renowned as one of the foremost sculptors and visual artists of the twentieth century. 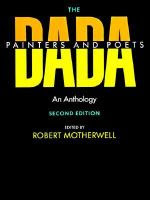 A founder member of the Dada group, he was also associated with Surrealism and with Concrete Art and Minimalism. Such acclaim has overshadowed the fact that he considered himself above all a poet. 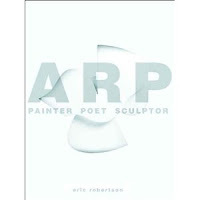 This book, the first major English-language study of Arp in nearly half a century, is also the first to reveal that Arp’s practices as poet, painter, and sculptor are not only complementary but mutually dependent facets of a coherent aesthetic strategy. "This book is the English-language edition of an exhibition only at the Centre Pompidou in Paris, March-June 2004. Memorable exhibitions at the Grand Palais in 1974 and in Barcelona and New York in 1993 sought to embrace the entirely of an oeuvre that developed across more than sixty years, but the intention here is to scrutinize and document the most important years of Miro's art, his self-questioning formation and his first and finest masterpieces." --(taken from book cover).